After 25 years of management, MRS Property also acted as Project Manager for this extensive refurbishment. 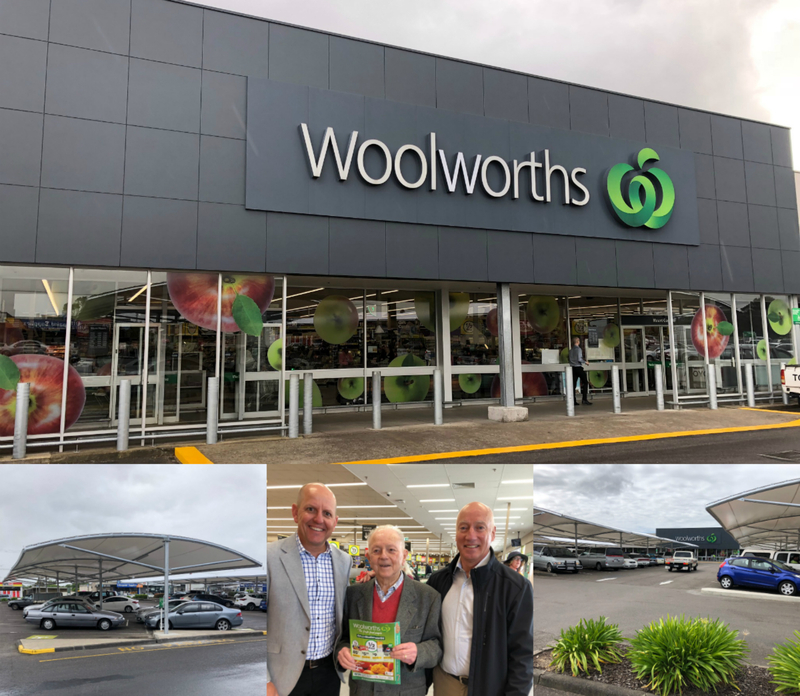 After nearly 2 years, Mt Gambier Shopping Centre was re-launched last Thursday following an extensive refurbishment, with Woolworths completing their fully upgraded supermarket. Paul Scarborough – Director of Asset Management for MRS Property successfully negotiated new lease terms with Woolworths, in conjunction with Matt Holland – State Property Manager for Woolworths. The launch was attended by the Centre owner, a private Melbourne based family who has owned the Mt Gambier Shopping Centre for over 25 years. Paul Scarborough handled the initial sale and has been managing the Centre for the family since then. MRS Property acted as Project Manager for the installation of new all-weather sails in the carpark and a rebuild of the public toilet facilities. Woolworths have completed a complete in-store refurbishment of all departments providing a new, refreshed look. The Centre is now experiencing a significant lift in turnover and customer numbers. Stage 2 will incorporate a purpose built drive-through facility for Woolworths “Click and Collect” online customers. Construction is underway with completion due early December ready for the busy Christmas trade. Constant planning towards reinvestment in upgrading, and committing to capital works to improve retail centres like the Mt Gambier Shopping Centre is critical to ensure tenants’ businesses remain viable and strong in a tough competitive market. The end result will mean not only maintaining the property’s value, but adding value for Owners.